An ocular migraine, which causes short-term vision loss or distorted vision in a single eye, occurs when blood vessels near the eye suddenly tighten, leading to decreased blood flow to the eye, explains WebMD. 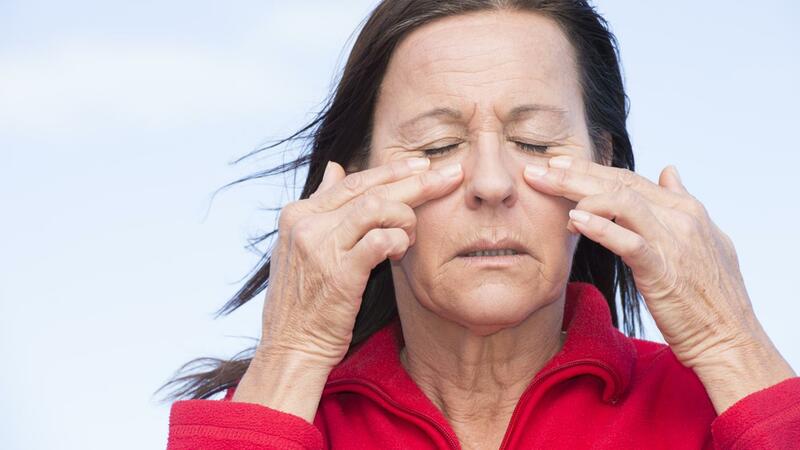 Most ocular migraines occur up to an hour. Normal vision typically resumes within 5 minutes. A headache usually occurs along with an ocular migraine or after it, notes WebMD. Most ocular migraines are not a cause for alarm, but they can damage the retina and its blood vessels in some cases. Women, individuals age 40 years old and below, people with a family history of migraines, and people with diseases such as lupus and hardening of the arteries are at a higher risk of suffering ocular migraines. Some people completely lose their vision in one eye during an episode of an ocular migraine, states WebMD. Other symptoms of ocular migraines include blurred vision, partial loss of vision, blank spots in the eyesight, dim vision and flashes of light. Anyone who experiences ocular migraines should avoid triggers, such as stress, smoking and high blood pressure, suggests WebMD. Exercise, hormonal birth control pills, dehydration and low blood sugar are also likely triggers. A person should avoid bending over too often and stay away from extremely hot places to prevent ocular migraines. What Are the Symptoms of an Eye Migrane? What Are the Symptoms and Causes of Seizures? What Are Some Causes of Severe Headaches? Is There a Test to Find Out If Your Favorite Foods Are Causing Migraines?